First in a video series. Scroll down for a link to the video. Novelist and comic-book writer Neil Gaiman counts Don Marquis’s “archy and mehitabel” among his favorite books. One of his top five, in fact. Gaiman first read “archy and mehitabel” many years ago, and it continues to fascinate him. In a 2011 Australian radio broadcast, he included it in a discussion of his five most favorite books. 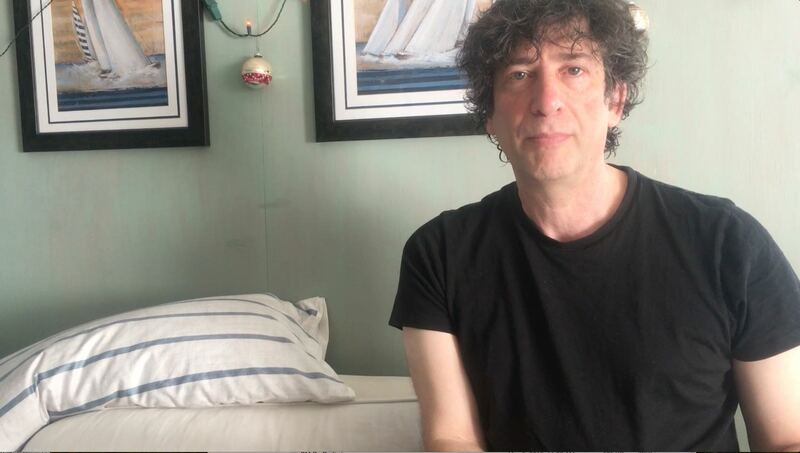 Gaiman has won numerous international awards for his fantasy writing, including Carnegie and Newberry medals, so who better to lead off a video series featuring the wit and wisdom of a world-weary cockroach and a dissolute alley cat? A few months ago, Gaiman was one of several writers, entertainers and other public figures asked to recite a few lines from one of the Archy and Mehitabel compilations (there are six) for a series of short, homemade videos on the occasion of the 100th anniversary of Archy and Mehitabel’s first appearance in print, on March 29, 1916 — part of a yearlong celebration called archyFest. Gaiman responded to the call immediately and enthusiastically, and the video below is the result. I don’t know if this is my favorite of the Archy and Mehitabel poems. I do know that I fell in love with it before I actually understood what it meant. When I was a boy at school, a ‘bun’ was a large, doughy bread roll with raisins in it that you’d be given at four o’clock at school, and it was many, many years before I discovered that a bun was also 1920s slang — for a hangover. And thanks to Neil Gaiman for his gracious help and support!